There are numerous museums throughout Los Angeles, one of the largest and most popular is the Los Angeles County Museum of Art, or LACMA. The museum is found near the Miracle Mile, an area of the city where many other points of interest or museums are located – so it’s a place you can spend hours exploring. Those who want to see contemporary or modern art will appreciate the fascinating displays set up throughout the museum. One amazing piece was an art installation called Penetrabile, by artist Jesús Rafael Soto, which features soft, plastic tubing hanging from an overhead installation. 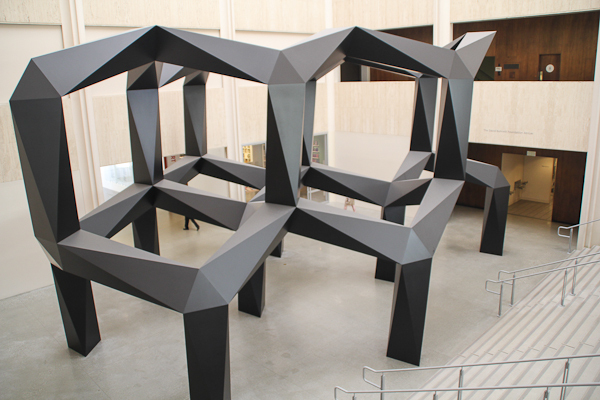 The interactive work of art is one of the best known at LACMA! Contempory sculptures are found throughout the museum, so there is no shortage of photographic opportunities. One of the most iconic pictures found in the city is the Urban Light installation, which consists of more than 200 street lamps from the 20s and 30s – most of which were used throughout SoCal at one time or another. In the heart of Los Angeles sits the Museum of Contemporary Art, which had equally fascinating pieces and installations. 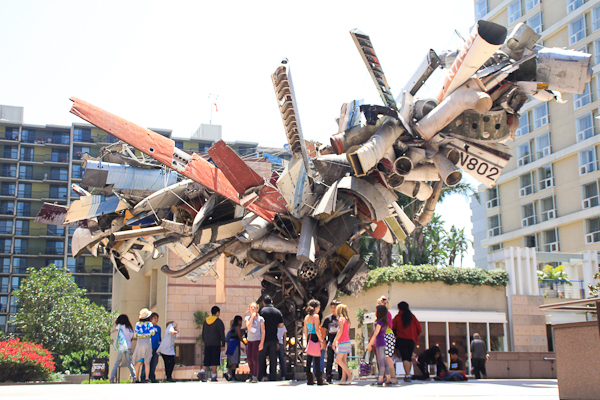 More than 5,000 pieces are found in MOCA – one of the best known being a stainless steel sculpture titled “Mark Thompson’s Airplane Parts”, which sits just outside the museum. 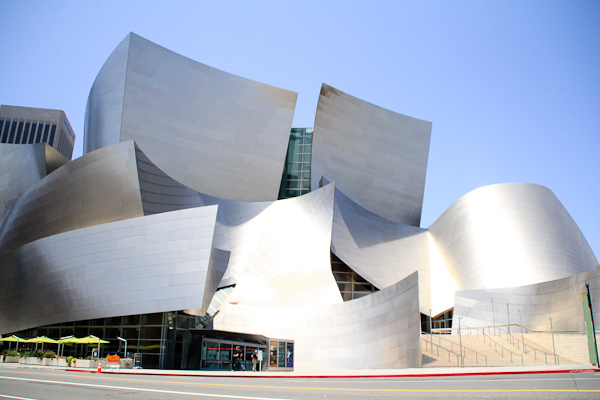 Down the street from MOCA is another iconic piece in Los Angeles, the Walt Disney Music Hall. Designed by famed architect Frank Gehry, the deconstructivism architectural style features polished stainless steel in flowing movement and wavy lines. Home to the Los Angeles Philharmonic, the Walt Disney Hall is as much known for its architecture as it is for the classical music performances.